Round baling with an open station tractor can be hot, noisy and even dangerous. That being said many people like to round bale with an open station tractor, either because that’s all they have or they just prefer it. It can be nice in good weather conditions, and it is a great way to learn, as you can get a better feel of the machinery. If you prepare yourself, baling without a cab can even be enjoyable. The biggest thing that can make baling without a cab, is the heat. The best way to beat the heat is with shade. A good reasonably priced canopy, like the one here https://amzn.to/2CN00g6 attaches directly to your ROPS and can make you much cooler as well as protecting you against sun burns and even skin cancer. Another low priced choice is a good 3 bow canopy, like this one https://amzn.to/2S9tJJS, that is often seen on older tractors but can fit almost any tractor and attaches directly to your fenders. Another problem when baling with an open station tractor, is the noise. The noise can cause permanent hearing damage as well as making for a long day. Many people use ear plugs that can be bought in bulk and can be found at most stores or online here https://amzn.to/2S0FSRu. I prefer a set of nice noise cancelling over-the-ear headphones, like these ones https://amzn.to/2S766BN, that also have built in AM/FM radio. The last major issue with an open station, is safety. Pickup heads like to fling rocks and mud at you, sometimes at high speeds. The first thing to do is make sure your pickup head is set to the proper height. The teeth on the head shouldn’t touch the ground, but be just low enough where they pick up the windrows, (this is different for all crops and regions.) Also I recommend a pair of safety/sunglasses that can protect your eyes from flying debris while also protecting them from the sun. When I used to bale with an open station tractor, I had a pair of these https://amzn.to/2MzdK2M, they worked well and were a good price, you can spend hundreds of dollars on a pair of safety/sunglasses, but in my opinion these are just as good. If you get the right gear baling without a cab can be just as good as a cab, although on those 90* days I wouldn’t trade my cab for anything. What do you think? 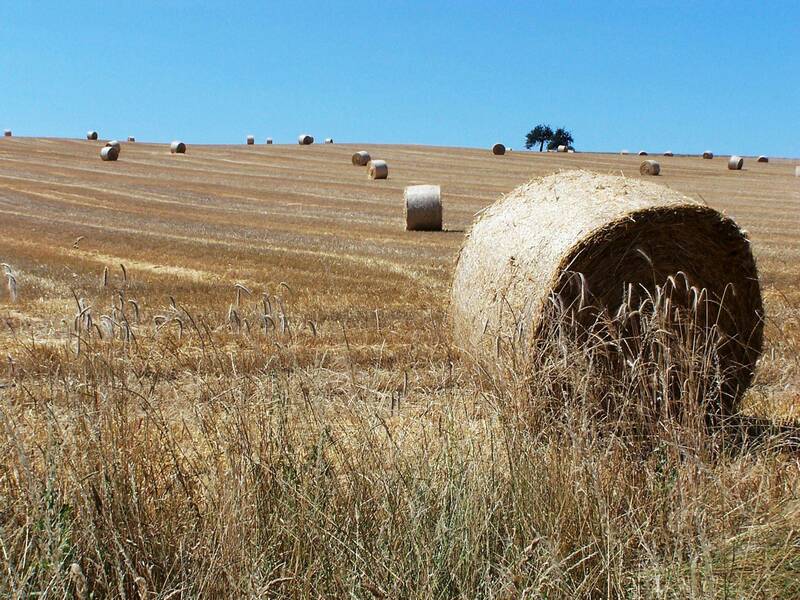 What do you bale with, let us know in the comments below!